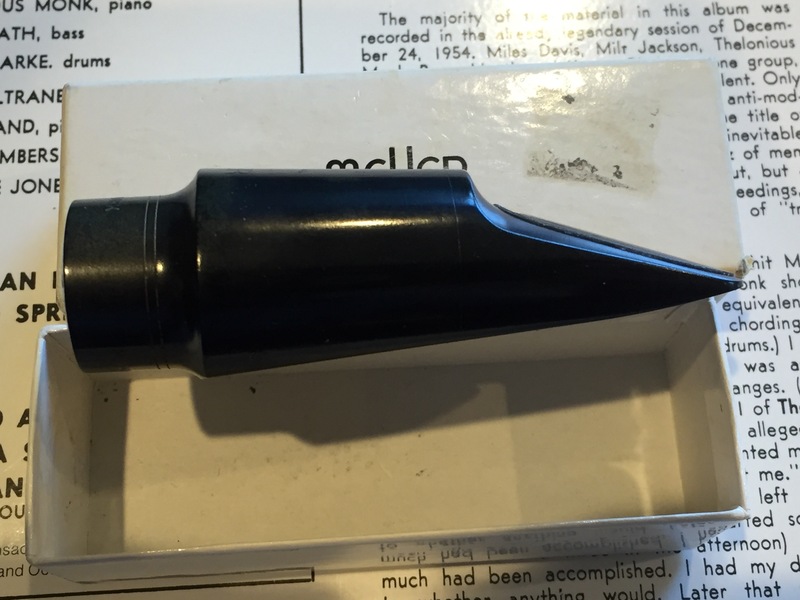 This is like finding a sunken ship of Spanish gold! 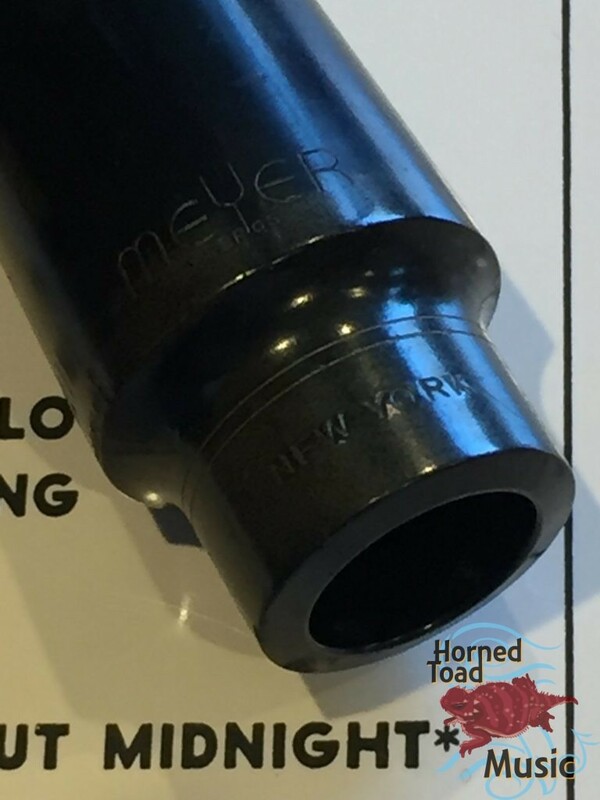 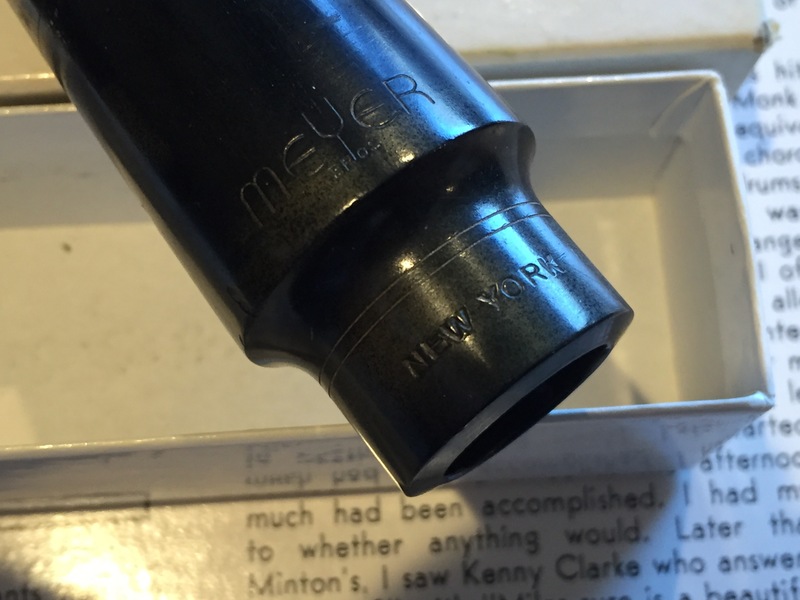 Meyer Bros. New York 5M original facing, table, tip baffle etc. 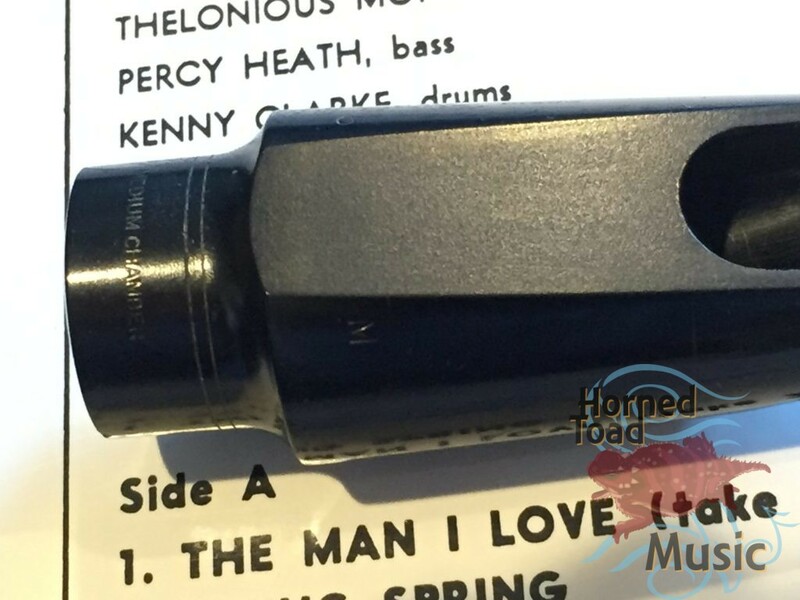 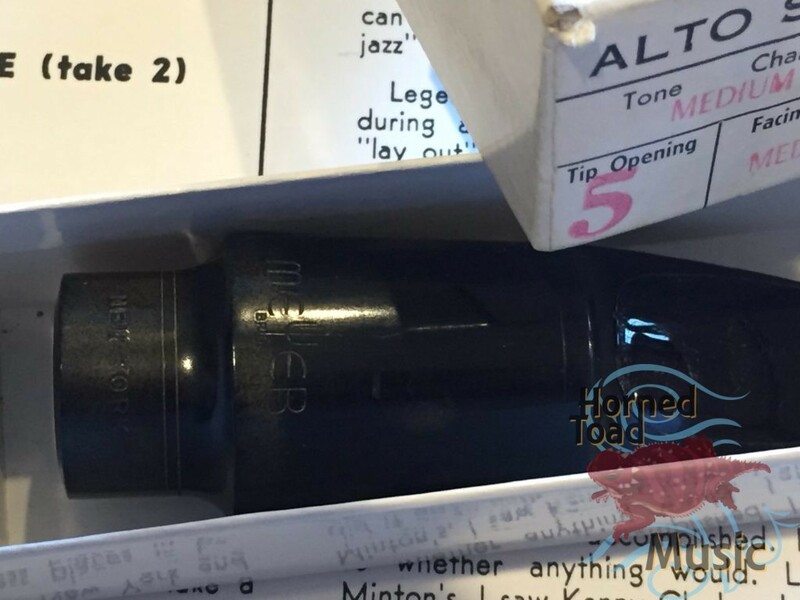 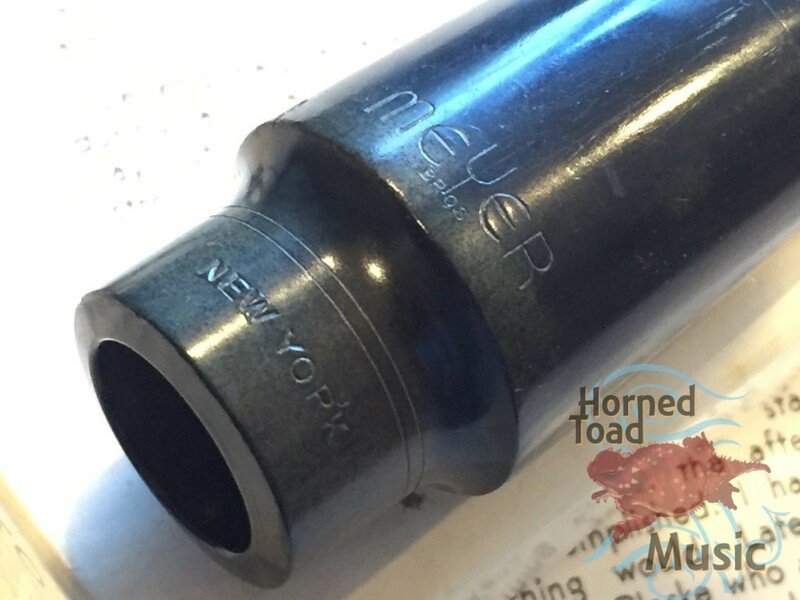 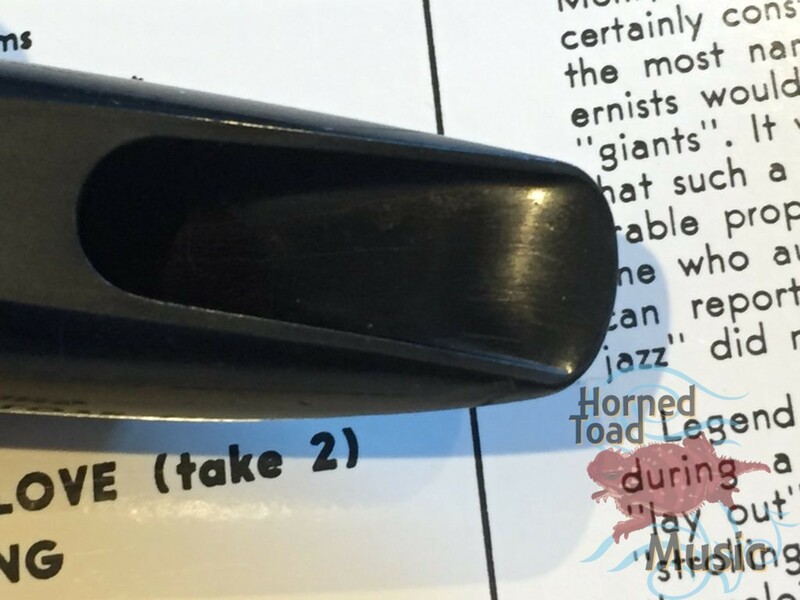 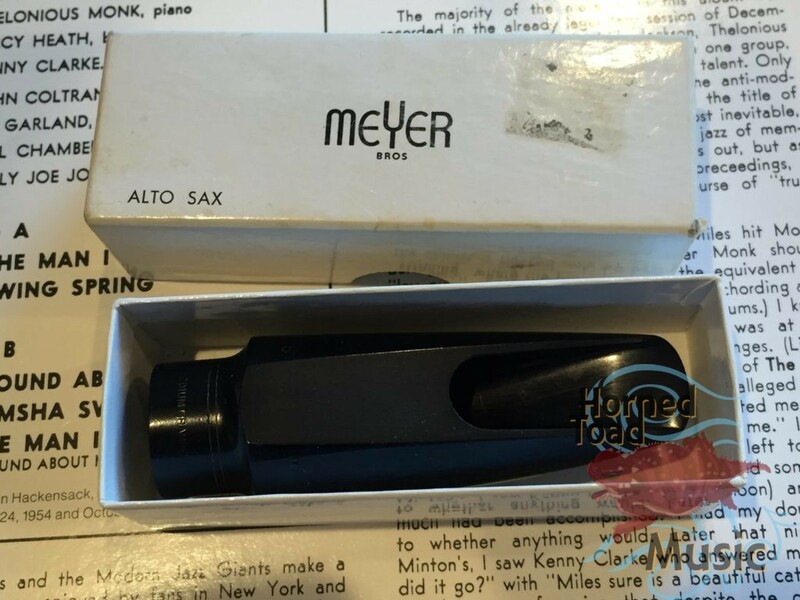 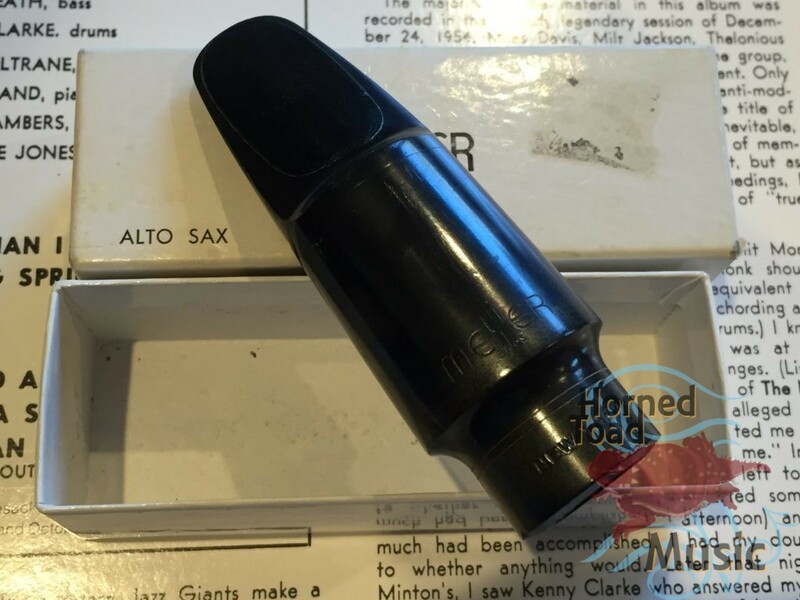 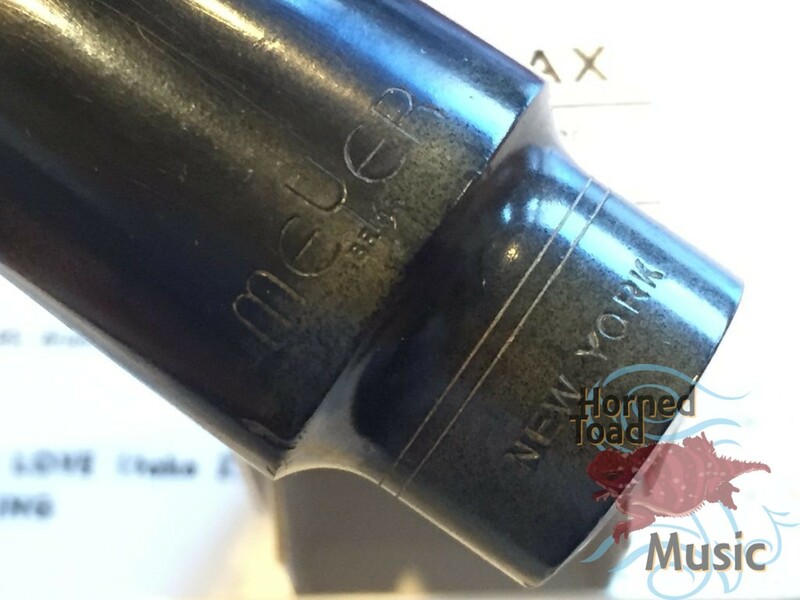 This is a pice I received with a wonderful late 1950’s Selmer MK VI alto that was clearly owned by a working pro jazz musician. Among the materials in the case was a gig book, with song lists including many standards etc. 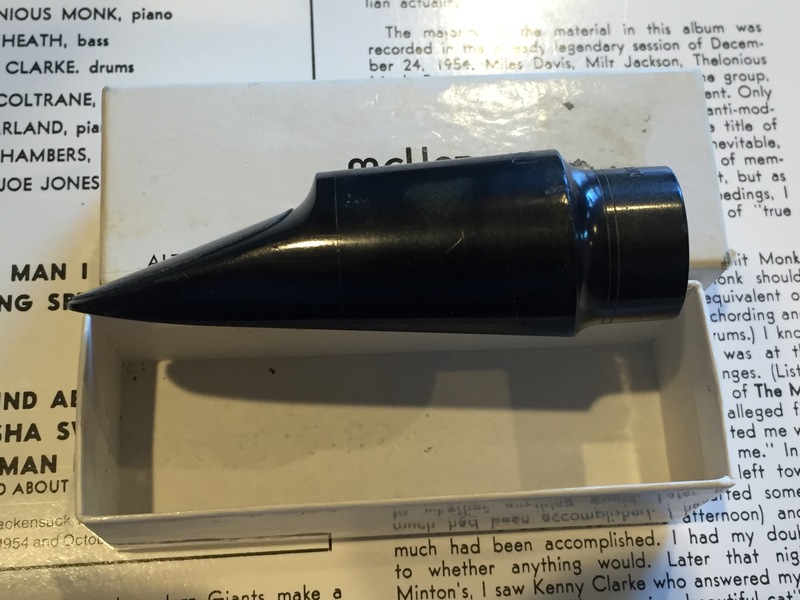 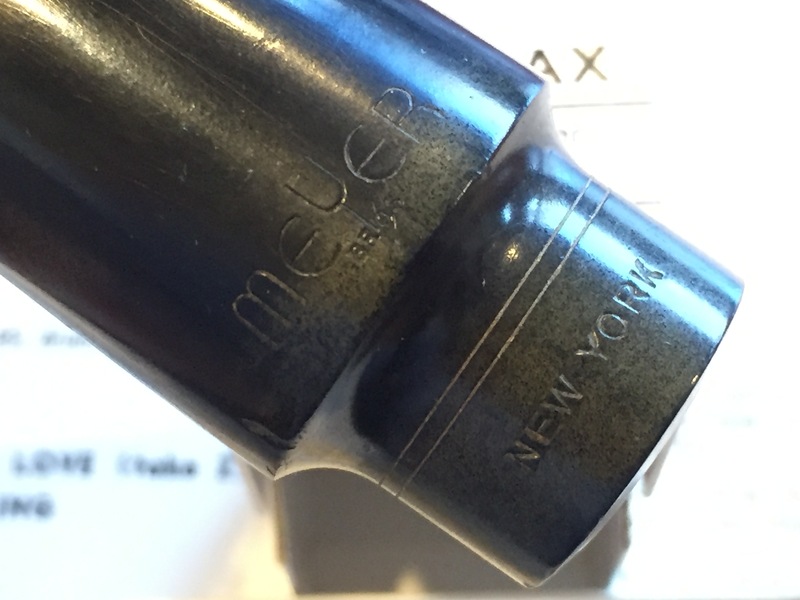 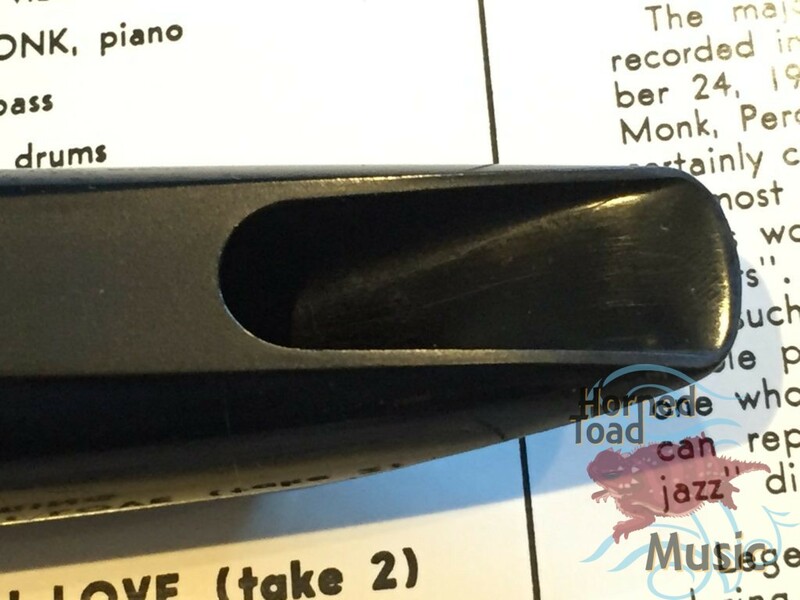 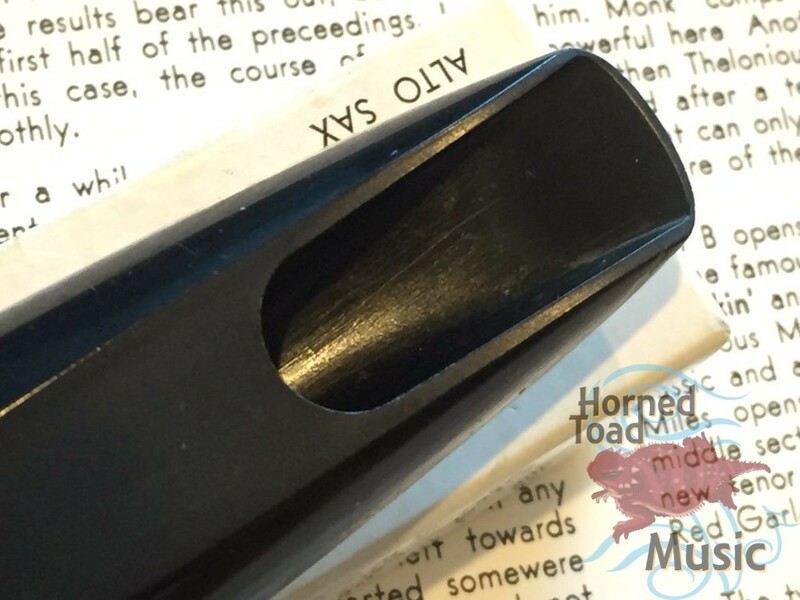 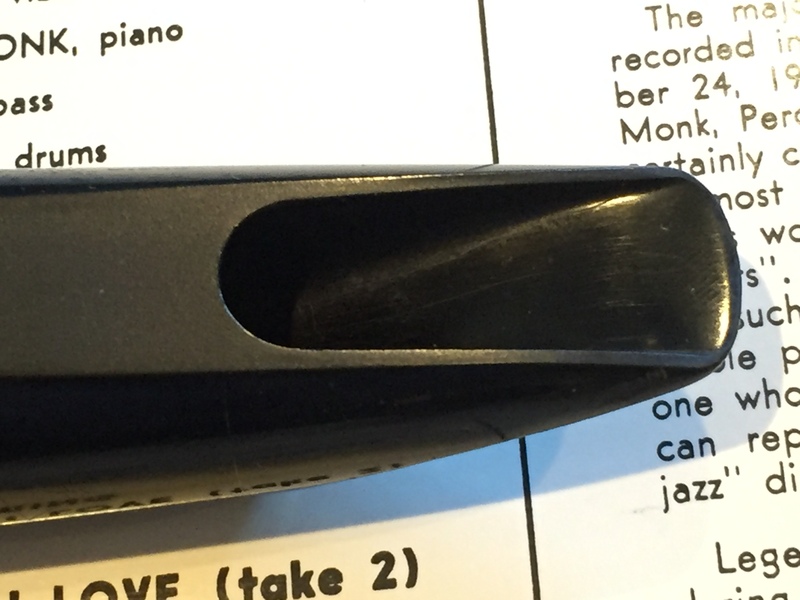 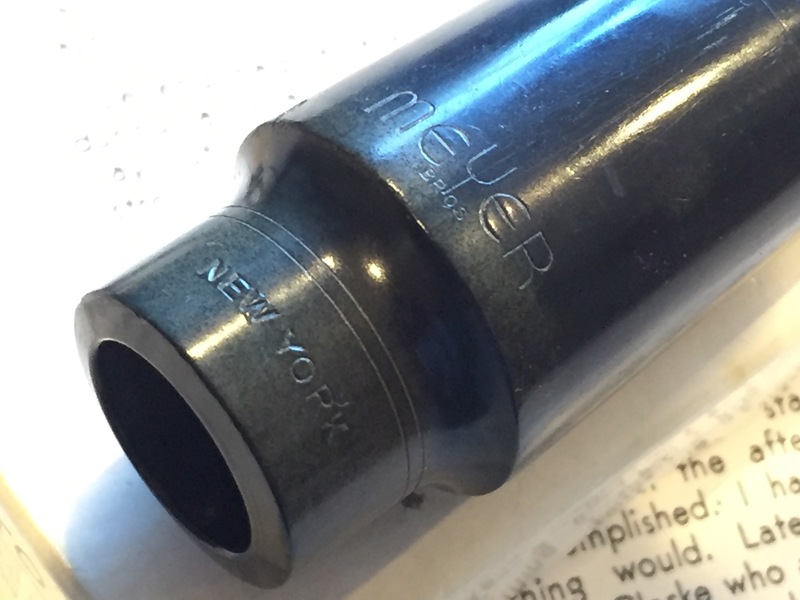 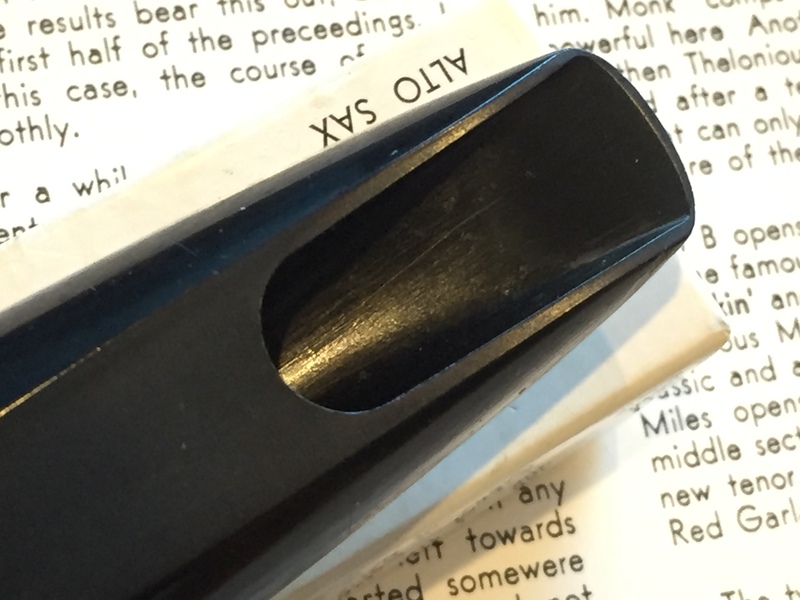 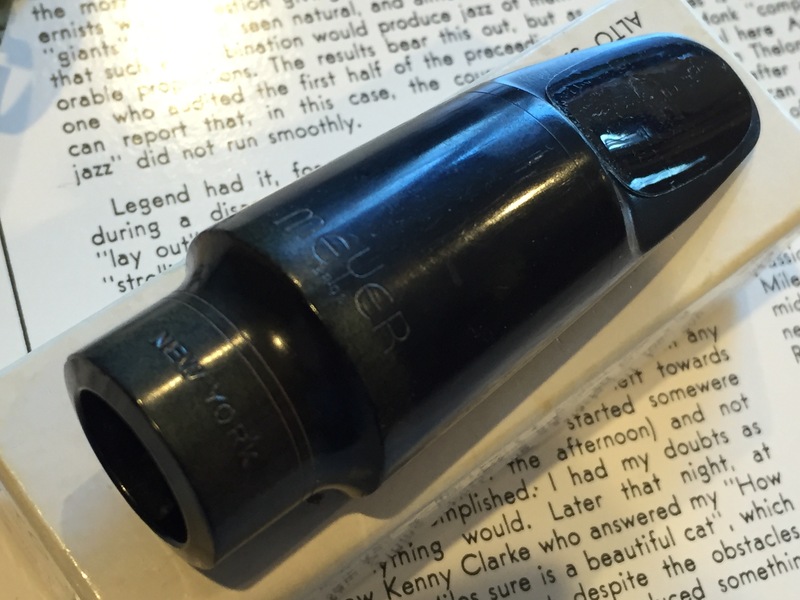 Stacked boxes of vintage reeds and other equipment and then… this amazing mouthpiece. 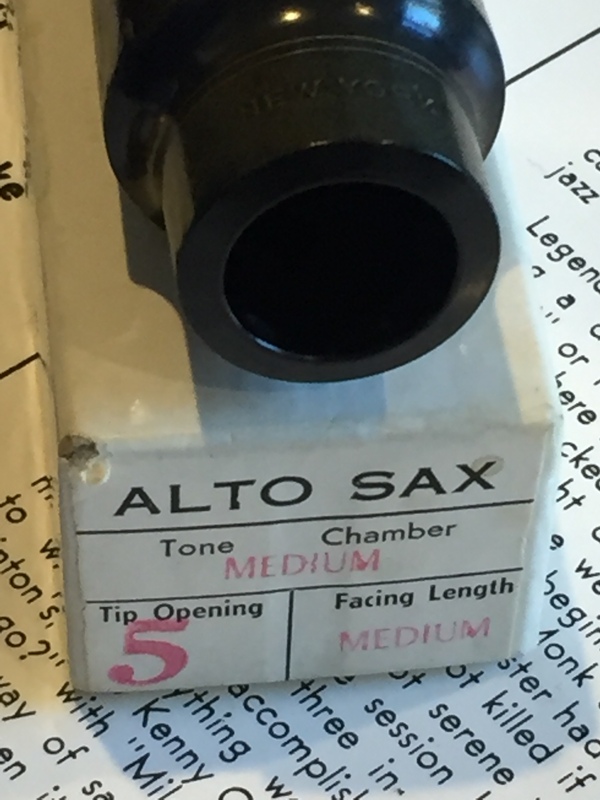 I first played this mouthpiece on that 78xxx alto and I immediately realized that this person, exactly knew what a great alto setup was. 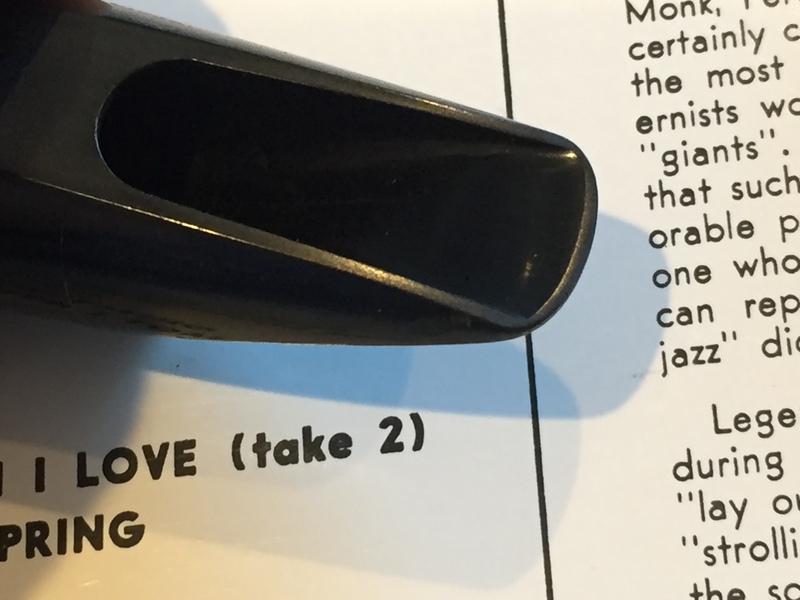 To my feeling, this piece plays extremely lyrical and smooth, almost clarinet-like, but then it has a very impressive brightness that does not get harsh at all. 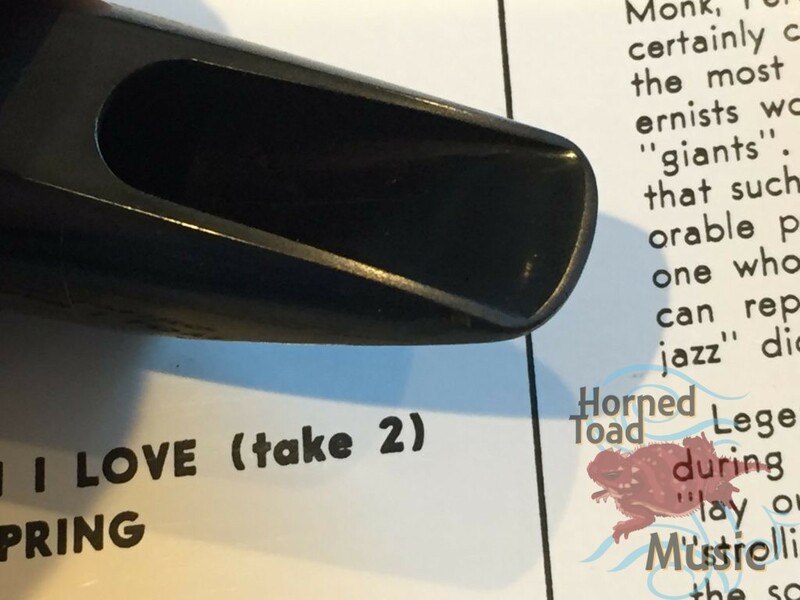 It is plenty loud and just a joy to play. 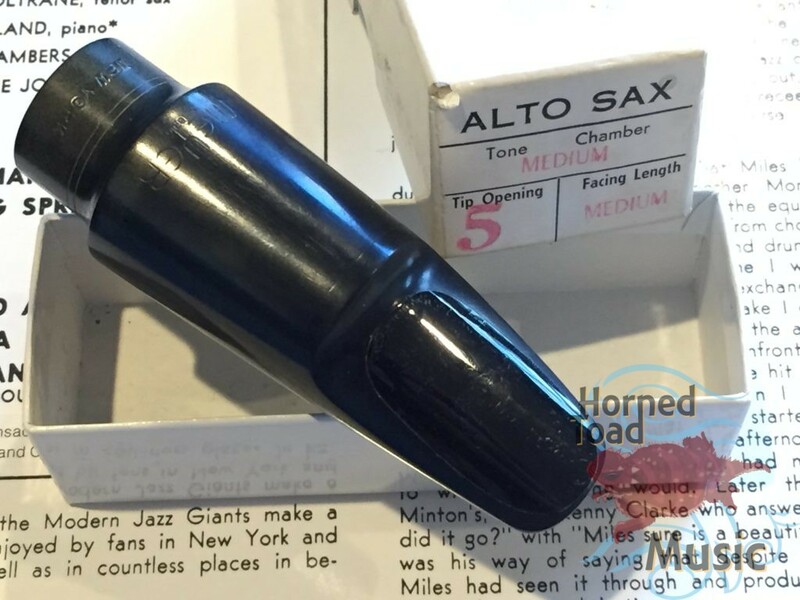 It does have a few scratches and nicks on the outer body of the mouthpiece, but the table, facing, tip and baffle are all extremely clean. 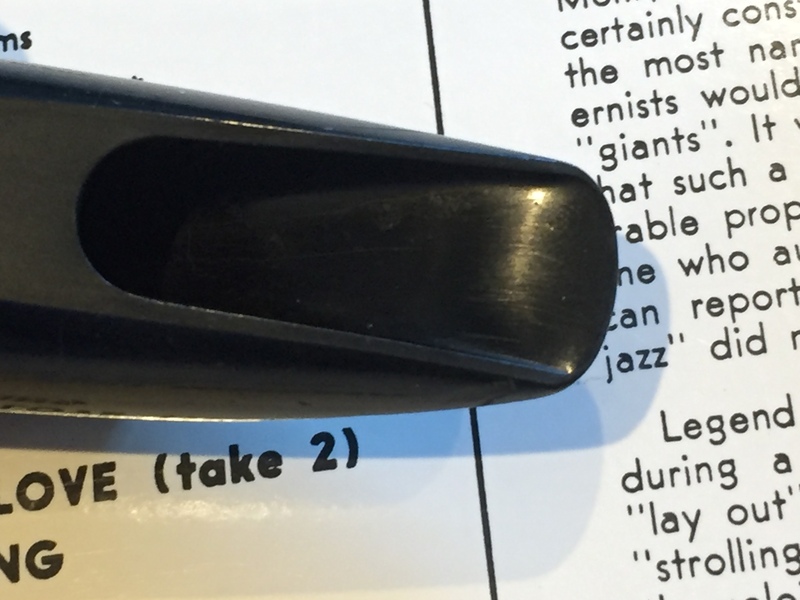 The baffle, also worthy of note is very high along with a rather high floor. This is not a shy mouthpiece. 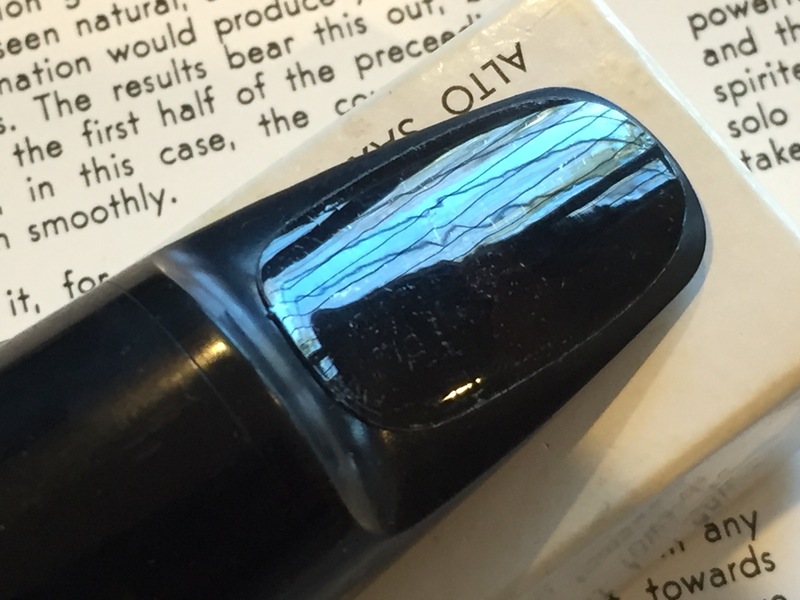 When I got this there were some tooth marks in the bite area which I filled and then covered with a patch. 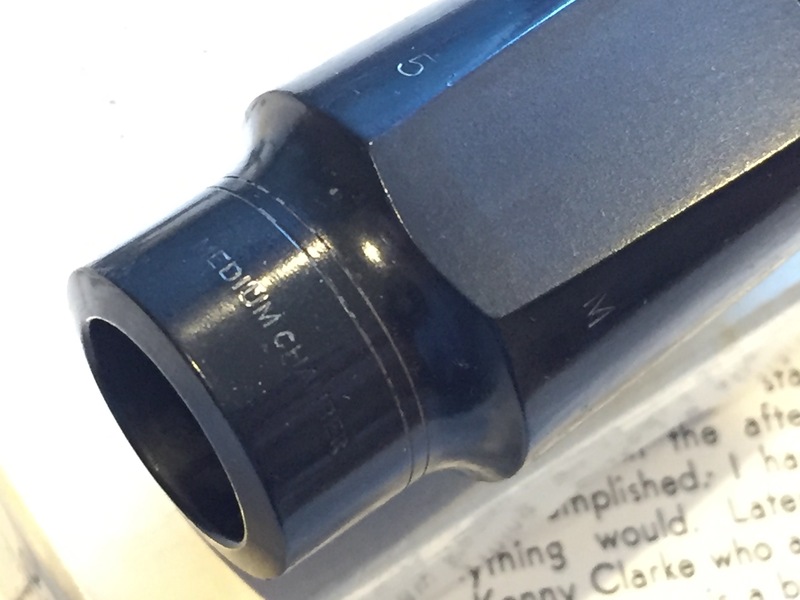 At the moment it is hard to tell that was ever done, looks and feels great! These are prized by jazz players and with good reason, Cannonball Adderly knew exactly what was what apparently. 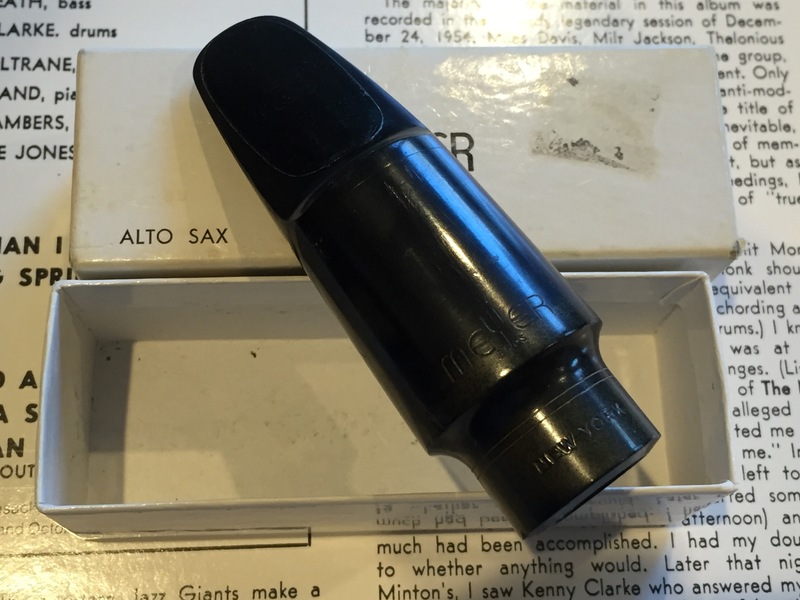 I highly doubt a better playing one of these can be found, and this one is in very fine condition as well. Original box included!